Simply keeping warm in winter is a challenge for many people in Fife, who are already struggling to afford increasing and expensive fuel bills. In addition, the cold winter months threaten ill health and isolation. 35% of households in Fife are classed as living in fuel poverty, spending more than 10% of their annual income trying to heat their homes. This can mean choosing between cooking hot meals and heating their homes. According to the National Record for Scotland, in 2016/17, an additional 163 people died due to winter-related causes in Fife. Greener Kirkcaldy (registered charity SC041412) and St. Andrews Environmental Network (registered charity SC045253) work to help people stay warm, save energy and save money. Last year we helped over 1800 households in Fife by visiting people in their homes and providing free energy advice. Any donation, however large or small, will help. Do you receive the Winter Fuel Payment, but don’t need it? Why not donate it? · Make a one-off donation via debit/credit card or Paypal on our online donations page or set up a monthly direct debit. · Send a cheque made payable to ‘Greener Kirkcaldy’ to Greener Kirkcaldy, 252a High Street, Kirkcaldy, KY1 1LA. Signing up to Gift Aid means you can add 25p extra to each pound you give at no cost to you. Please complete and return this Gift Aid Form along with your cheque. · Pop into our High Street Hub (254a High Street, Kirkcaldy), Wednesday - Saturday, 10am - 4pm to donate in cash. P.S. a donation now will help ensure vulnerable people in Fife stay warm this coming winter! Last winter we visited Betty, an elderly woman living in a sheltered housing flat. Her home was very cold and draughty and she had no credit left on her prepayment meter. She was very distressed as she would not receive her pension for a few days so was unable to top up. We gave Betty an emergency top up to keep her going until she received her pension; this also saved her from having to walk to the paypoint in the snow. We also provided thermal curtains to stop the draughts in her home, and help to keep the heat in, and some reflective radiator panels to the push heat back into the room from the radiators. 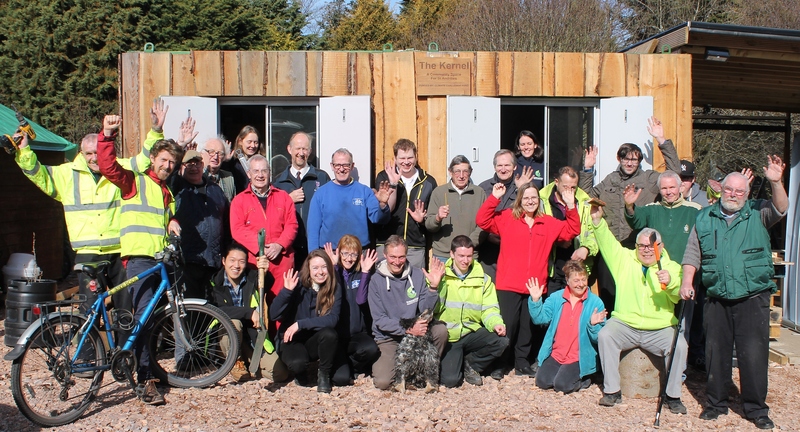 Under the project title of Community Share for Climate Care, the St Andrews Botanic Garden, Transition University of St Andrews and the St Andrews Environmental Network have been awarded £293,645 to expand their low carbon living programme based at “the Kernel”, a new community space within the grounds of the St Andrews Botanic Garden. This is the 3rd successive round of funding for the partnership and the group will be looking to record and share their learning through running events and producing materials for other communities facing similar challenges. We have published our reports from previous years of CCF funded projects, take a look at the CCF section of the funders page to read these. 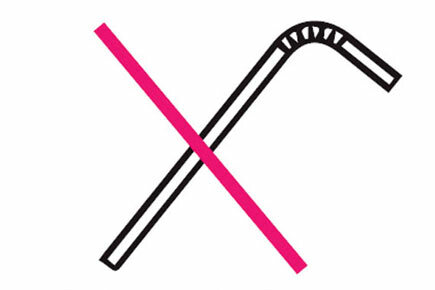 As part of an ongoing series of presentations on climate change at Madras College, St Andrews Environmental Network have taken the opportunity to launch their “Say No To Straws” campaign in order to reduce waste throughout the town. We will be asking all of the businesses in town to participate in this. This is a very easy, low effort first step, so come on board! Click here to find out more about this campaign and to sign up. We are very excited to launch our revamped website. You can find lots of information about the kind of things we do, the people involved in StAndEN, and other organisations we are in partnership with. You can use the main contact form to arrange a home visit from one of our energy advisors, or contact our staff members directly from the contact button within the user's profile, which can be found on the Team page.